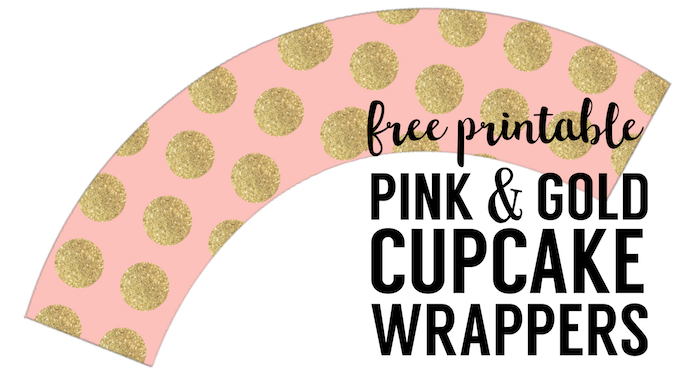 Print this pink & gold DIY cupcake wrappers free printable for a wedding, bridal shower, baby shower, birthday party, graduation, or spring party. The pink and gold decor is so elegant and pretty. If you want to save some time, these pink and gold baking cups on Amazon are adorable and you can use them to hold food or other items since they are nice and sturdy. 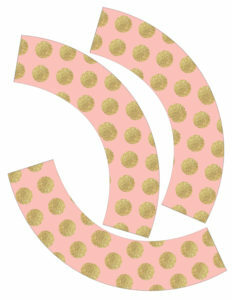 Scroll down for a link to more pink and gold printables from Paper Trail Design! For best results, download the image to your computer before printing. I find it easiest to click on the image or link to open the larger version of the image, drag and drop the image to my desktop, then print it from there. 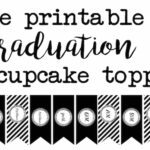 Don’t forget to check out PicMonkey a free website where you can easily customize these Pink & Gold DIY Cupcake Wrappers Free Printable. If you want a little more guidance then check out our tutorial on how to use picmonkey. 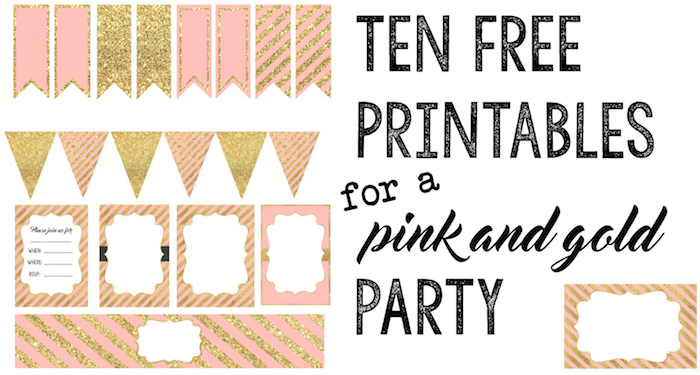 Get matching pink and gold printables for your pink and gold party. 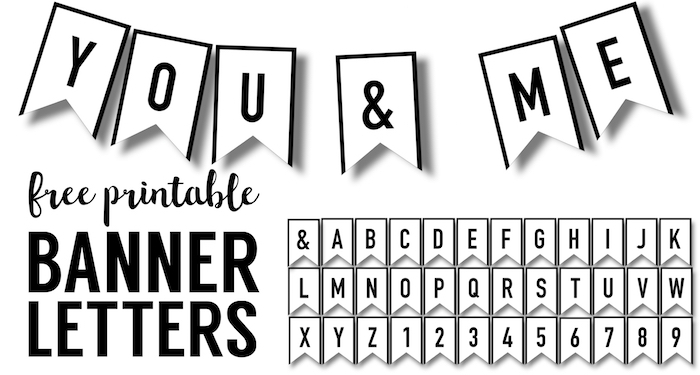 Print this classic banner to make any message that you need to say.